Canadian News : Pawis Comes Back From One Loss Side to Win Rack-M-Up Non Handicapped Event. Pawis Comes Back From One Loss Side to Win Rack-M-Up Non Handicapped Event. Pawis eyeing up the game winning shot. 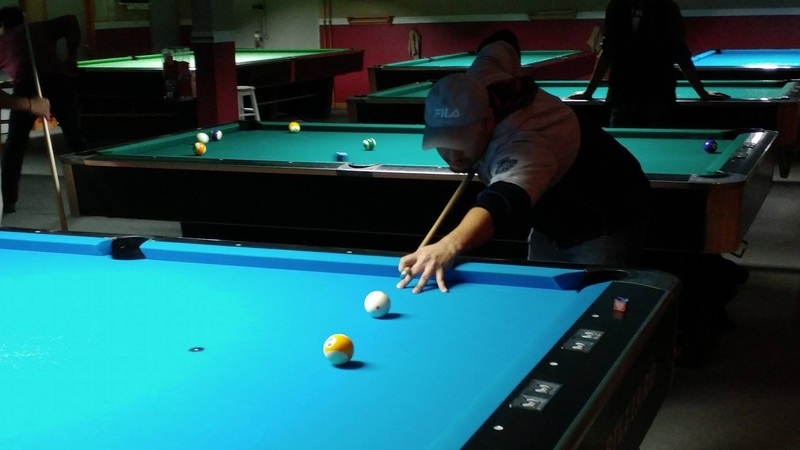 Sunday February 19th Rack-M-Up Billiards held its first non-handicap tournament in sometime. Most tournaments as of late have been handicapped. In this format the stronger players have to give "weight"by spotting a game or more at times in a race to a predetermined amount of games. This encourages players of all levels to participate as not always the favourites win. However with these types of tournaments gaining in popularity, it leaves a gap for the highly competitive players who crave straight up races and a chance to prove themselves. In light of this Doug Disotell owner of Rack-M-Up Billiards and a competitive player himself decided to host this type of event. 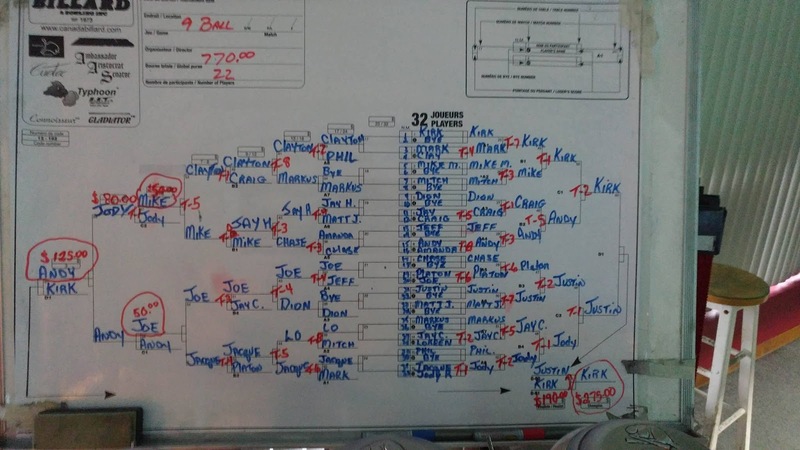 The format was a $40 entry races to 7 games on the winners and losers side of the bracket. The field was open to 32 players and 24 were able to show up. Which is phenomenal on less than a weeks notice and a testament to the amount of competitive players in the area. Going into this tournament the top favourites included Jody Roy, Justin Miller, Jacques Sauve and Kirk Pawis. Early on in the tournament there was not much to report in upsets as 3 of the top 4 mentioned above cruised to the final 4 of the winners side. In the winners side final Miller and Pawis battled to be the first to book their spot in the final. Miller was able to get the job done and had time to wait to see he would face of against in the final. Pawis who is known for his loser side charges beat Menke in the losers side final. With this momentum he earned his revenge in the final over Miller to win the tournament. What: AAA and Under HANDICAPPED Charity Event. The Charity of choice is "EPILEPSY ONTARIO." Payson Boucher who suffers from epilepsy is the niece of Doug Disotell Owner of Rack-M-Up Billiards. Because he has seen and heard of her daily struggles he has decided to hold a charity event to help raise money for an important cause.